Trucking is a noble profession and truck drivers are noble people. Thomas is one of the nicest people you will meet over-the-road. Day or night, Thomas is ready to help a fellow driver. “He’s been a really big help with our dedicated fleet out of Ohio,” said Mary, one of TransAm Trucking’s Fleet Managers. Thank you, Thomas, for your commitment to the trucking community. You remind us why trucking is a noble profession. This month we are recognizing Nathaniel for his selfless act of bravery. The day started like any other, until he noticed something strange about a car pulled off to the side of the road. It was on fire! Since there wasn’t any law enforcement around, Nathaniel pulled over and tried to control the fire with his fire extinguisher. The car was lost but the family – a mother and her 3 children – was safe. Nathaniel is a commendable individual and we’re glad to have him contracting with TransAm Trucking. Thank you, Nathaniel. William is a class act. He’s known around the Yard for helping new drivers and showing them the ropes. 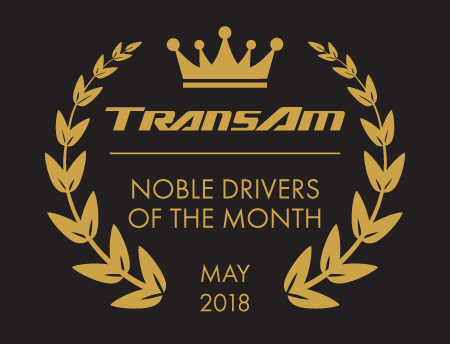 “He really steps up,” says Mary, one of TransAm’s Fleet Managers. Thank you, William, for being a positive influence within the TransAm family. We are grateful to you for choosing to be part of our team! Safety is important to Rick. That’s why he joined TransAm Trucking’s Mentor program. “Rick wants to help make the trucking industry safer by passing along the things he’s learned to new drivers,” said Thomas, TransAm Trucking’s Director of Training & Development. Rick’s positivity is inspiring. The roads would be a safer place if we all took a page out of his book. Thank you, Rick!